This report discusses six emerging trends in manufacturing and explores how manufacturers are adopting intelligent technology and new business models to modernize the workplace and improve safety. Learn how upgrading to a cloud-based ERP with Microsoft Dynamics 365 will help you make your company agile and ready for the future. This retail trends report from Dynamics 365 uncovers the key trends for 2019 and helps you continue to deliver exceptional shopping experiences for your customers. This e-book explores how the solution integrates with Office 365 to connect business processes and personal productivity like never before, bringing insight and efficiency to your daily tasks. The 28-page Microsoft State of Global Customer Service report offers actionable data on building brand loyalty through exceptional customer service. 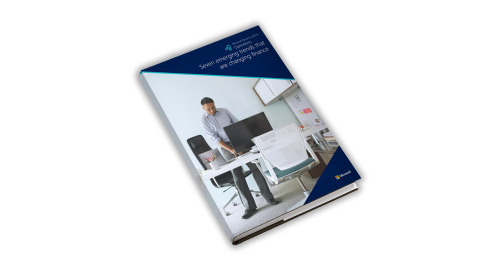 This report from Constellation Research explores the changing environment for modern enterprises and provides strategies to make your organization faster and more agile. Read this report to see how analysts from Nucleus Research determined that, on average, companies using Microsoft Dynamics 365 saw a return of $16.97 for every dollar they spent. In this e-book, learn how to empower every team to build rich apps with drag-and-drop simplicity, allowing line-of-business experts to take the lead in solving business challenges. This e-book explores how to create a unified vision for your organization by eliminating the data siloes that result in a disconnected customer experience. Download this e-book to learn what mixed reality is and understand the most effective scenarios for applying it to your business. Discover how to digitally transform your organization and achieve greater business outcomes by enabling business intelligence (BI) across your organization. Get guidance from survey results, analyst observations, and user experiences as you consider adopting mixed reality for use in your organization. Learn actionable insights to help your sales team identify the right leads—including pinpointing who’s on the buying committee, capture buyers’ attention and more. Download your copy of Best-of-the-Best: The 5 pillars of building an industry leading service organization to begin carving out your competitive advantage today! This guide will give you the information you need to efficiently and effectively revamp your project tracking and billing practices to achieve each. 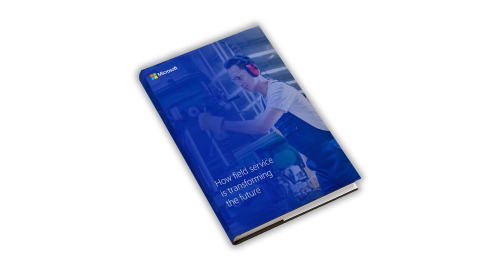 Learn the critical role of field service management in customer experience and how to grow business by building healthier customer relationships. Download your free e-book today and learn how CRM can help you better grasp your educational data to improve teaching and learning while increasing stakeholder engagement. New research conducted by Microsoft looks at the complexities of the modern sales process. Download this e-book to learn how to create a positive customer sales experience and drive improved revenue. Effective field service management teams improve technician productivity and customer satisfaction rates. Read the ebook to learn more.